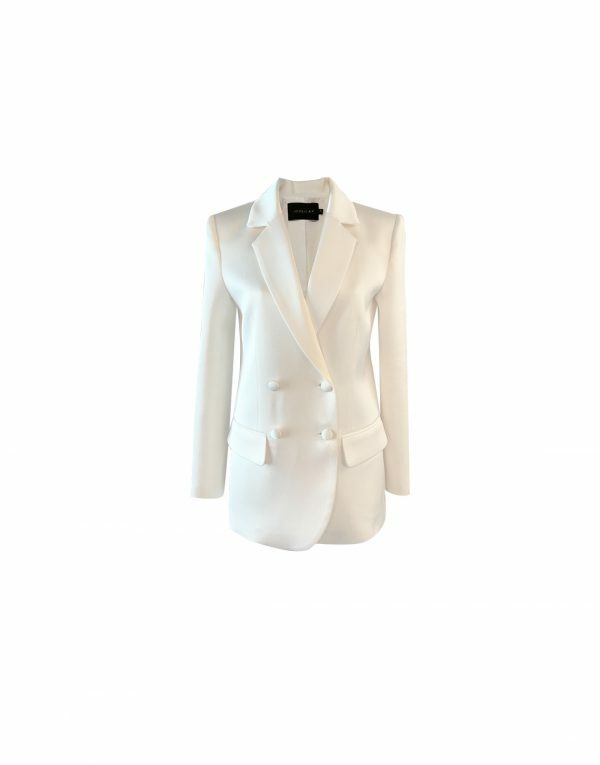 Our iconic Victoria Blazer is cut from satinated crepe that catches the light beautifully. It features a retro lapel with big vintage buttons and front flap pockets. Be bold and wear yours with its matching “Caspien pants”.Perfect for a formal trendy event.